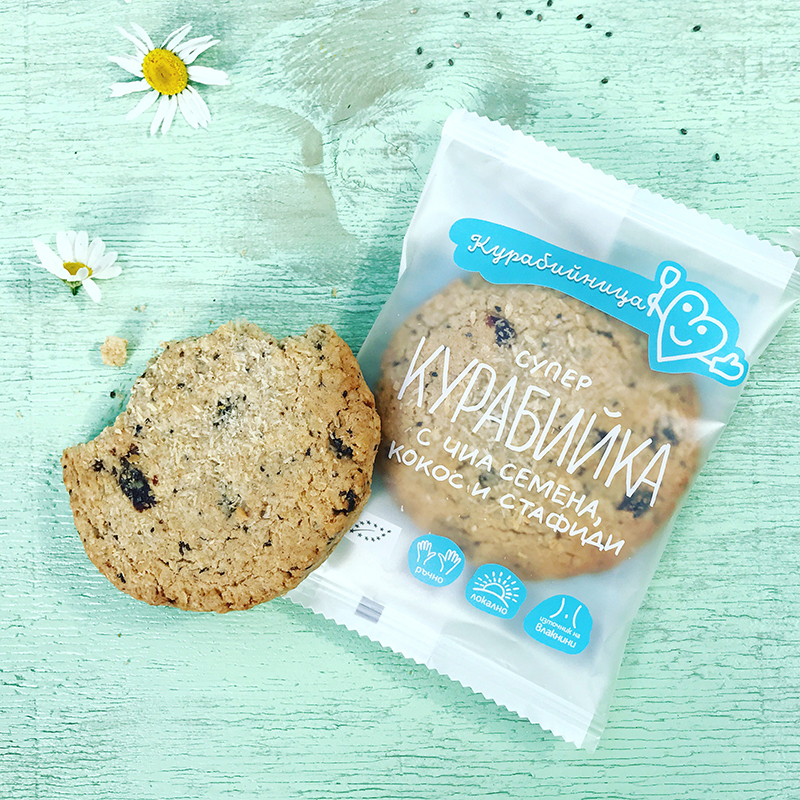 Exotic and nutritious, this whole-grain super cookie made of oat flakes, chia seeds, desiccated coconut and raisins will take you to a beach under the caressing rays of the sun and the soothing splash of the sea waves. It has never been so easy to escape everyday life and boring food. Immerse yourself in a new taste that will give you super powers. Sweetened with unrefined cane sugar and loaded with chia superfood, this cookie is a real temptation that makes it easy to surrender. Ingredients: oat flakes*, wholewheat flour*, wheat flour type 1050*, unrefined cane sugar*, butter*, eggs*, raisins (8%), coconut* (7%), chia seeds* (2%), unrefined sunflower oil*, coconut oil*, baking powder* (corn starch*, acidifier: cream of tartar, baking agent: sodium bicarbonate), cinnamon*, salt.